With every class we teach at Kitsap Animal Rescue & Education (KARE), we stress to our students the importance of trying to look at the world from the dog’s perspective. This is what I am asking of you now. 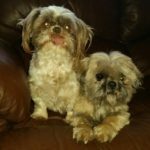 Ethel and Lucy were abandoned on the front porch of their home when the owner moved, left to fend for themselves in sub-zero weather. They had no fresh water, no food, and no shelter other than hiding under the porch. 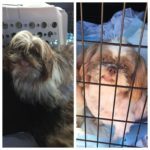 We believe they were used as breeding dogs for a backyard puppy mill, both having endured multiple litters. The lack of care was evident in their completely filthy, tangled coats, underweight bodies and badly neglected teeth. As a bonded pair, after six weeks in foster care, Ethel and Lucy are now in their new home, loved and back to good health. They are thriving with their forever family, and, for the first time in their young lives, secure. Imagine how grateful they must be for the love and attention KARE has provided. 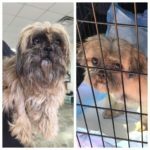 Over the past three years, KARE, an all-volunteer nonprofit, has rescued, rehabilitated and found new forever homes for over 400 dogs like Ethel and Lucy. Our achievements are made possible thanks to generous donations from people like you. On Tuesday, May 2, KARE is participating in the Kitsap Great Give and we are asking for your continued support. The Great Give is a 24-hour national day of giving. In addition to your donation made on that day, there is a pool of community funds distributed to all participating nonprofits which, in the past, has boosted your donation by approximately 10%. Last year, KARE received three of the additional prizes awarded amounting to $1,500. The Kitsap Great Give is wonderful because it is online. As long as you can access the internet, you can participate! On May 2, just visit kitsapgreatgive.org and search “KARE” to start giving, so we can continue our life-saving efforts.